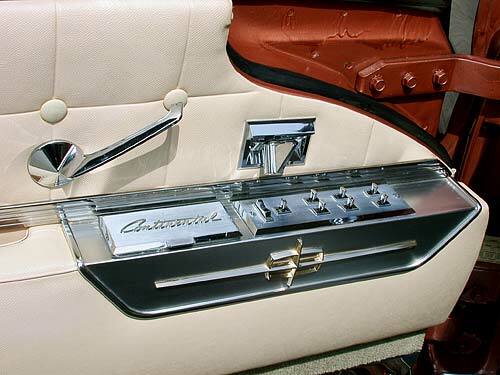 Power window switches and an ash tray are on the forward portion of the arm rest. The outside mirror can be adjusted with the handle above the switches. Note the paint runs above the door hinge. They have been there since "day one."